Is the impending fear setting in as you realize you’ve got a long list of gifts to give without the matching budget? If you’re like us, then you’re probably also looking for something unique and thoughtful so here are some of our favorites available at Wolf & Cub right now for under $20! We’ve got loads of cute notebooks for jotting down the next big idea (Like this one from Wit & Delight, $12), pencils to perk up a drab desk ($12) or some sunnies ($15) to keep your favorite friends stylin’. One size fits all with pint sized prints from Jacksonville-based artist Karen Kurycki. Budget friendly sizes in 5x7 and 8x10 are are available in store in a variety of designs and filled with Karen’s clever humor. $12 for a matted 5x7 print. We can’t get enough of these beautiful, cleansing products from Incausa. 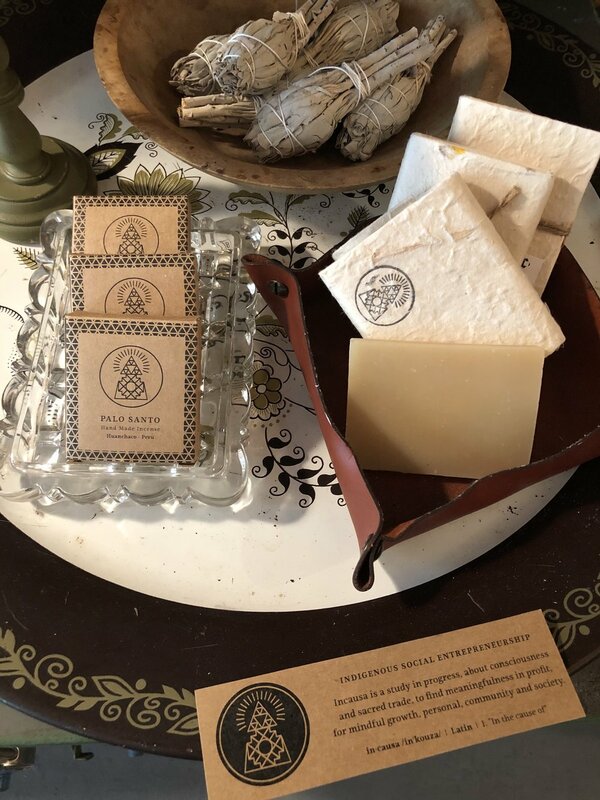 From essential oils soaps ($11) and dried sage ($8) to smudge bowls ($18) and Palo Santo incense ($8), Incausa prides itself on connecting products from indigenous tribes in Peru with retailers around the world. Through their social entrepreneurship program these people have the opportunity to create a sustainable life, so purchasing their products helps support their mission all while enjoying the natural scents. Creature Cups ($15) are the cutest little surprises hidden in the bottom of your mug. Put a smile on your friends face as they sip their coffee and are greeted by a little dragon, manatee, fox or hedgehog, to name a few.